Russian war feature tracing a Red Army sergeant’s obsession with a seemingly invincible Tiger tank. 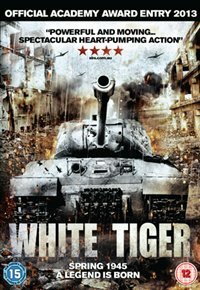 When Sergeant Ivan Naydenov (Aleksey Vertkov) is badly burnt in a battle with a German white Tiger tank that inflicts devastating damage on the Red Army ranks, he becomes determined to seek revenge. However, this will not be easy. The ghostly white tank seems all but invincible and, having witnessed its power first-hand, Ivan knows the scale of the task that awaits him. Will he find a way to defeat the Tiger before it can inflict further misery on Russian troops?